31 August 2018, 06:06 a.m. If you’re actively working on an SEO campaign, it’s important to be aware of how that campaign is performing. The first thing to understand about SEO (and SEO reporting) is that SEO is long term. While it’s recommended to pull reports on a regular basis, it’s highly doubtful that you’re going to see monumental gains within a short period of time. Instead, there should be slow and steady growth over the long term. Some months may see an increase in organic traffic, others may see a decrease (especially for seasonal businesses) but the trend overall should be positive. For our clients, we typically begin reporting after we’ve completed the onsite SEO process (keyword research for every page of the site and then incorporating approved keywords onto each page naturally) and at least 3 months of content creation, social media, and other link building activities. This is because it can take time for the search engines to recognize these important changes and activities and take them into account when determining rank. Once reporting begins, we focus on Google reports from Google Analytics and Google Webmaster Tools (also called Google Search Console), which is why it’s so important to make sure that your site is verified so that Google can pull data as quickly as possible. We rely heavily on these reports because Google is the top search engine and it makes sense to consider what’s going on with your site right from the horse’s mouth. Also, these Google tools are free. The first SEO report to pull is the organic search traffic report. It’s important to remove any visitors from PPC advertising or other sources so you can get a clearer view of the impact of SEO on your site’s visitor growth. Let’s say organic visitors accounted for 25% of your traffic. What kind of information can you then pull from your analytics about those visitors? For instance, how long did they stay on your site? What pages did they land on? What was the average conversion rate for an organic visitor? Information like this is all readily available in Google Analytics and can give you a good overview of your organic visitors. 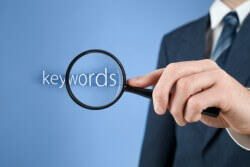 Another SEO report you should pull in its entirety is the keyword report from Webmaster Tools. Chances are branded keywords are going to send a substantial portion of organic traffic, especially if you have a powerful online brand, but looking at the non-branded keywords is going to give you a better picture of how your SEO campaign is performing. The more non-branded keywords driving traffic to your site (provided they are still relevant keywords) the stronger your SEO campaign is. Keeping an eye on your keyword report will let you know which targeted keywords are performing and which ones aren’t, as well as how search behavior is changing so you can keep your website aligned with user’s searches. The keyword report can give you ideas of which keywords to focus on in your content marketing, especially the long tail keyword variations. While the keyword report includes rank data, it’s important to keep in mind that ranking data always fluctuates. Keep your eye on it and be on the look out for any dramatic changes, but don’t worry about small changes up or down. Google Analytics provides social sources reports for site owners to review, letting you know which social sites (Facebook, Twitter, LinkedIn, etc.) 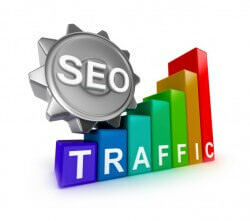 are sending the most traffic to your site. Looking at these social SEO reports is a good way to tell if your content promotion activities are having a positive impact. If you have a company blog and are promoting your content on social sites you want to be driving traffic back to your blog or sites through your social profile. Never make your social profile the last stop for a visitor! You’ll also be able to get a better idea of what your most shared content and pages are. When your Analytics and Webmaster Tools accounts are ready to go and it’s time to start reporting, it’s important not to over-report. Pull reports regularly (like once a month or once a week, tops) and carefully review those reports instead of pulling reports more frequently. Remember, SEO is long term. There’s no need to be looking at reports every day- it will only drive you crazy! The post Putting Together an SEO Report appeared first on Brick Marketing - SEO Marketing Solutions Company.